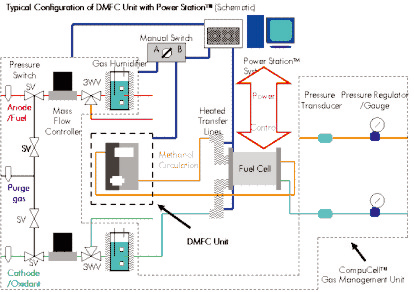 The Direct Methanol Unit provides a controlled source of high purity methanol or methanol/water solution for testing of methanol powered fuel cells. Pump Characteristics Flow Rate 0,017 ml.rev. 68 ml/min max flow rate. Other flow rates available upon request max. differential pressure 20 psi.